A benediction stole is a type of liturgical vestment that is used by a variety of Christian denominations. It is a long band of cloth, usually 7 to 9 feet long and 3 to 4 inches wide. The stoles are decorated with religious symbols for a distinct look. The stole is designed to be worn around the neck. 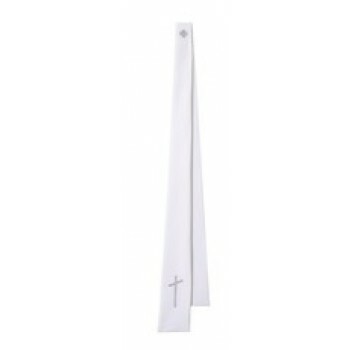 Benediction stoles tend to be narrow in the middle and flared at either end. The stoles are typically white and are almost always decorated in some way. A small cross at the neck portion of the piece, as well as small crosses at the ends of the stole, are common types of decorations. 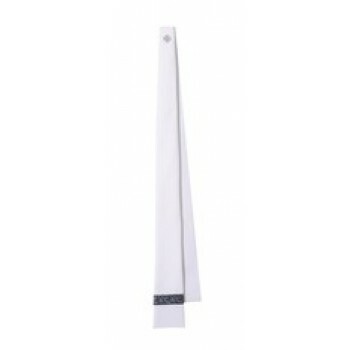 Memorial labels are available on benediction stole styles. When you buy benediction stole vestments, up to 2 lines of 20 characters each may be added for a small additional charge. Memorial labels are a great way to personalize a piece for gift-giving purposes. 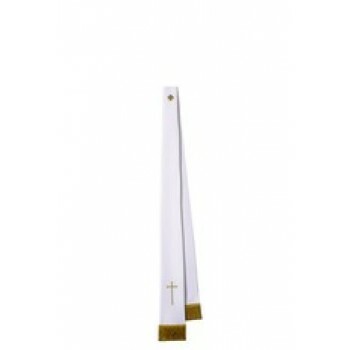 Choose Matthew F. Sheehan for the finest selection of high-quality benediction stoles. Our generous selection includes the best styles on the market. Matthew F. Sheehan has been serving the religious community since 1907 and is your leading source for affordable, high-quality religious goods.